FARMINGTON, N.M. (KRQE) – It’s being called the most significant natural gas discovery in the San Juan Basin in 14 years. The recent discovery by BP in the Mancos Shale resulted in production rates not seen in some time. Robert McEntyre with the New Mexico Oil and Gas Association believes this major development could have a significant impact on the state. 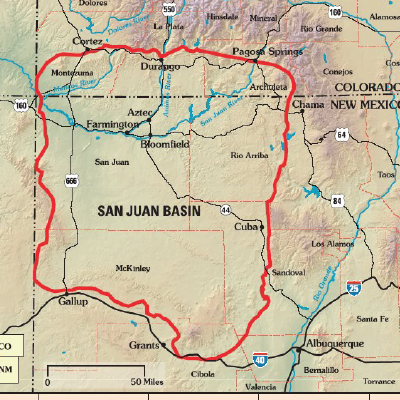 “It could mean additional drilling activity, it could mean additional exploration activity, it could generate significant new interest in the San Juan Basin,” McEntyre said. The majority of the oil and gas activity in the state takes place in the Permian Basin – that’s located in the southeastern portion of the state.